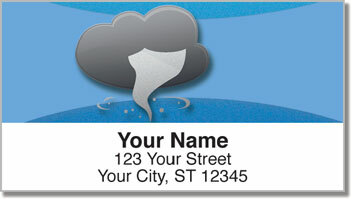 If you flip back to The Weather Channel whenever another station goes to commercial, you might just be a weather nerd! But please, take no offense... we're actually rather impressed! 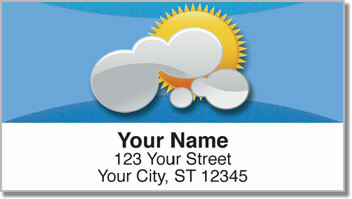 Our Weather Icon Address Labels are not only a cool finishing touch for your envelopes and packages, they'll save you plenty of time, too! 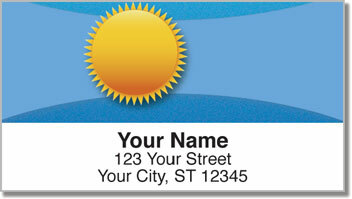 Instead of writing your name and address on every envelope, it's just peel and stick -- no need to lick! 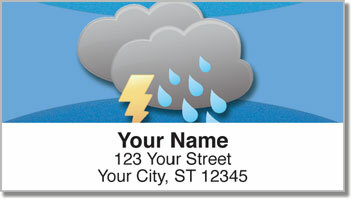 So don't wait another day -- order your very own Weather Icon Address Labels right away!